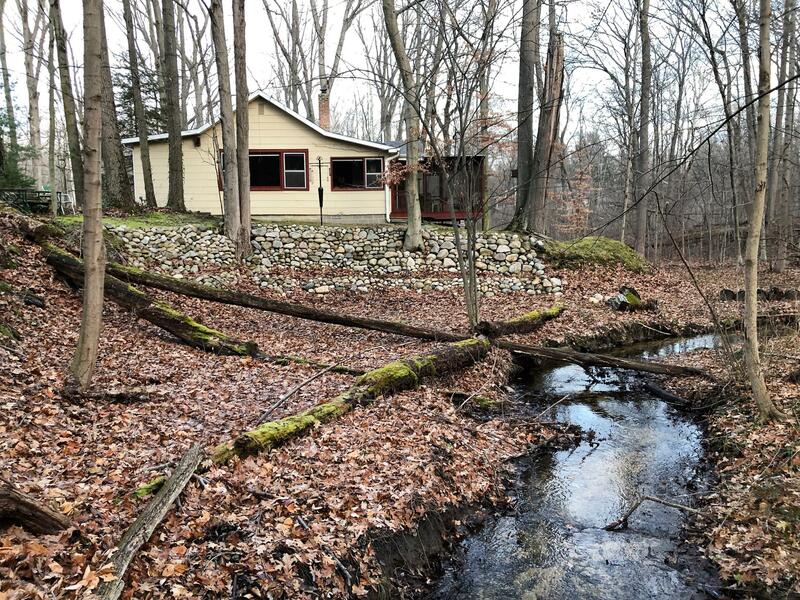 Charming Michigan cottage near township beaches on a stunning, nearly one-acre lot bordered by babbling brook and native forest! This gorgeous property feels like a true escape from the world. The 2BR/1BA cottage has an open living/dining area with a spectacular view of the creek winding through the woods. A cozy wood stove will warm you on chilly nights. Kitchen leads to screen porch overlooking the creek and woods. This spot is a gardener's dream, with a large fenced and irrigated vegetable garden area. With nearly an acre of land you can add a pool, build your dream house or just enjoy the splendor of nature. Located near township beaches and biking distance from local restaurants, galleries and shops, this is a gorgeous getaway with so much to offer!